Dr. Jason F. Kirksey, vice president for Institutional Diversity and chief diversity officer at Oklahoma State University, received the 2018 Distinguished Service Award from the Association of Public Land-grant Universities’ (APLU) Commission on Access, Diversity and Excellence (CADE). Kirksey received the award at the APLU’s 131st annual meeting in New Orleans on Nov. 12. The APLU CADE Distinguished Service Award is presented to one recipient nationally who has created partnerships, broadened access and opportunity in higher education, and contributed to the achievement of diversity at all levels of an academic community. 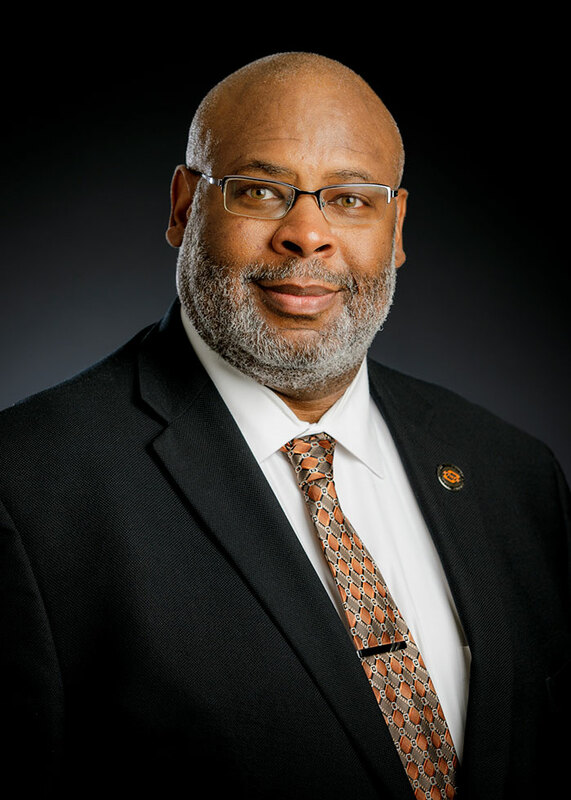 Kirksey has served as OSU’s chief diversity officer since April 2009. "While I am certainly honored and humbled to be individually recognized with this nationally prestigious award for distinguished service, I owe a huge debt of gratitude to a phenomenal team within the OSU Division of Institutional Diversity,” he said. “I am privileged to work alongside a group of individuals who show up every day with a commitment and a passion for improving the lives of the students, staff, and faculty we serve at OSU and beyond. The unwavering commitment of the OSU administration and Board of Regents to sustaining and enriching our culture of inclusion makes the necessary work we do that much more enjoyable and rewarding." Kirksey, who grew up in inner-city Denver, is a first-generation college graduate. He came to OSU as a walk-on football player in 1985. He left with two bachelor’s degrees, one in political science and the other in economics, as well as a master’s degree in political science. He earned a doctorate in political science from the University of New Orleans in 1997. In 1995, Kirksey returned to OSU as an assistant professor and held the Hannah D. Atkins Endowed Chair for Political Science and Government Information for 15 years. He was the first African-American at OSU to hold an endowed chair. In 2009, he was appointed the interim vice president for Institutional Diversity. After a nationwide search, President Burns Hargis selected him to take over the position permanently. During his tenure as vice president at OSU, Kirksey has served as principal investigator for almost $6 million in National Science Foundation funding, and in total had administrative oversight responsibilities of an additional $11 million in NSF and U.S. Department of Education projects serving students from historically underrepresented groups, and students who are first generation, low income or who have disabilities. Institutional Diversity is also wrapping up an unconventional five-year capital campaign focused primarily on engaging OSU alumni of color, which raised $5.6 million. Although Kirksey won the award, he deflects the credit to all those who have positioned OSU as a leader in diversity and inclusion. He believes he is standing on the shoulders of those who came before him. Oklahoma State University is one of 10 universities nationwide to earn the Higher Education Excellence in Diversity (HEED) Award from Insight into Diversity for seven years in a row. Since 2009, Oklahoma State University has experienced a 96 percent increase in the enrollment of students of color (African-American, Latino, Native American, Asian American, and biracial/multiracial students) and a 222 percent increase in first-generation students of color. 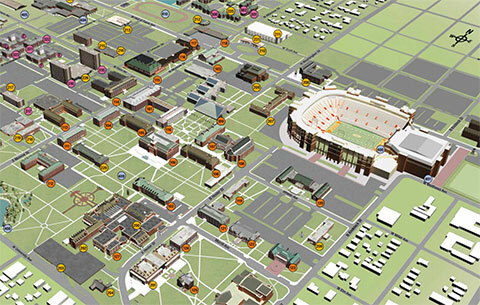 Since May 2010, OSU has witnessed a 90 percent increase in students of color earning a bachelor’s degree. Also, over the past decade, more Native American students earned a college degree from OSU than from any other institution in the nation.